David Lifton was born in New York in 1939. A graduate of the Cornell University School of Engineering Physics he worked as a computer engineer for North American Aviation in Los Angeles. Lifton worked on the Apollo space program but left the company in 1966. Lifton now concentrates on his research into the assassination of John F. Kennedy and particularly the life of Lee Harvey Oswald. He has read all the material published by the Warren Commission. He also spent several months at the National Archives in Washington and interviewed many of the important witnesses in the case. Lifton published an important article on the assassination in Ramparts. He also served as consultant on the Hollywood movies, Executive Action and Oliver Stone's JFK. Lifton also appeared before the House Select Committee on Assassinations and as an expert witness before the Assassination Records Review Board. 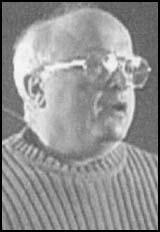 In 1980 Lifton published Best Evidence: Disguise and Deception in the Assassination of John F. Kennedy. Lifton claims that members of the Secret Service agents were involved in the killing of Kennedy. Their involvement was the key to the secret alteration of the President's wounds. In the book Lifton argued that the wounds contained in the body of John F. Kennedy were altered somewhere between Parkland Hospital and Bethesda Hospital. Lifton believes that the wounds were altered in order to hide the fact that he had been shot from the front, e.g. the Grassy Knoll. The book was a bestseller and was nominated for a Pulitzer Prize in history. More terrifying, more bizarre, and more startling than any fiction, David Lifton's reconstruction of the elaborate disguise and deception surrounding the killing of John F. Kennedy is a shocking new breakthrough, destined to become one of the most talked-about books of our time. For fifteen years, with the patience and dedication of a gifted detective, David Lifton has stalked the truth, from Dallas to Andrews Air Force Base to the Bethesda Naval Hospital. What he as uncovered in Best Evidence is a tragedy that in his view did not begin in the twisted mind of a lone assassin. His book provides evidence of a plot that may have reached into the highest levels of the United States government. Best Evidence is the most painstaking study ever written of the possible coverup of the JFK assassination. It contains facts, testimony, and statements by material witnesses never before disclosed. It leads us, inexorably, to the discovery of what really happened to America's most charismatic modern President. It is also the story of the author's courageous and lonely journey, an odyssey that slowly leads him to a final, terrible conclusion. Those in authority who conducted the investigation into what happened in Dallas on November 22, 1963, leaned heavily on what they considered the "best evidence," evidence they could find credible, rather than on the search for new information. But David Lifton's Dostoyevskian obsession with the unanswered questions led him deeper and deeper into uncharted territory. It led him at last to what was truly the "best evidence" - the body of the President - which became, in the hands of the conspirators, the means by which they deceived the American people and the world. I have brought with me today a very special copy of the Zapruder film of President Kennedy's assassination. And this relates somewhat to what attorney Belin was referring to earlier. As everyone knows the original was an eight millimeter positive. Copies of that film were immediately made for the FBI and the Secret Service, and within days Zapruder sold the original to Time Life. Although it was reported at the time that he obtained $25,000 for his film. In fact, the contract, which I provided ARRB shows he was paid $150,000. And that would be about a half million dollars today. I disagree with Belin who said it would be a million. I had a banker compute this and that's one of the many things we would probably disagree on is the rate of inflation since 1963. The payments were made in a series of six $25,000 payments that occurred shortly after the first of each year through 1968. Despite the substantial price paid for the film, for all rights, it was not exploited by Time Life as a motion picture film, i.e., it was never shown on TV or sold in any documentary form as a moving pictures. No newsreels, no TV specials, nothing. Yet one of the most controversial aspects of the film were never addressed by the Warren Commission was the violent backward motion of the head depicted on the frames following the fatal shot. What this means has been debated back and forth over the years. Passions run high on both sides. For reasons I never understand, the Warren Commission failed to address the issue. In other words, if we're to believe the record, the Warren Commission apparently didn't notice the very thing which has fueled the assassination debate for three decades. And of course the public didn't even know it was an issue because Time Life chose not to show it as a motion picture film after paying $150,000 for those exclusive rights. I might add, Professor Liebeler appeared here this morning and put the B.K. Jones report, a fellow from UCLA, on the table here and his contributing it. Thank you very much Professor Liebeler we already have that in the Archives. That was contributed 15 or 20 years ago with the Rockefeller Commission when that was already submitted to try to explain the backward snap of the head. But in anyway it's being resubmitted and I suppose there's no real danger in recycling that sort of thing. The film is important for another reason. Because Zapruder was filming through a telephoto lens, some of the frames show the wounds and so the film constitutes an unusual photographic record of the President's wounds in Dallas. In order to do any work with the Zapruder film, whether about the wounds or about the motions shown, the velocity, the car, et cetera, the clearest possible copy is required. In commercial production applications a device known as an optical printer is normally used to copy motion picture film frame by frame particularly if blowups are to be made. But optical printers are not designed to accept home movies which are an eight millimeter format. In 1967 Life sent the film to Manhattan Effects, later EFX, a New York City film lab. Where film technician Moses Weitzman designed a device permitting a high quality full commercial optical printer to accept an 8 millimeter home movie film. Then in one fell swoop he enlarged the Zapruder film from 8 millimeter to 35 millimeter format. The kind used in standard motion picture work. The result is stunning as anyone knows who has seen the movie JFK, or who has purchased a laser disk copy of that film. One reason for the clarity is that Weitzman used a liquid gate, or a wet gate as it's called, which permits a liquid of the same index of refraction as the emulsion of the film to come in contact with the frame when it is imaged. The result is that scratches are eliminated or greatly reduced in the copy. The very best of these 35 millimeter negatives and interpositives were given to the customer Time Life and I would hope that Review Board would attempt to locate these with all resources you have available to you. They are a priceless record of our history. But with regard to the 35 millimeter negatives, known as technician copies, which Weitzman kept in his lab, these he gave to another researcher and they remain as they always have, completely unavailable to the research community. But in 1990 before that transfer took place, I had the opportunity to work with one of these 35 millimeter negatives. The best of the lot I'm told. One which had been loaned to the producer of the TV show Nova by Weitzman. First I supervised making high quality timed liquid gate contact interpositives. Then, using funds provided by several researchers - and this project cost between 10 and $15,000 - I rented the services of an optical lab in New York and for about a week I worked at the optical printer taking the next step that would be necessary by an archivist in order to preserve the record and create a progenitor for all future 35 millimeter prints. Operating the printer myself I also made high quality liquid gate interpositives from the 35 millimeter negative. Then I made interpositive blowup sequences directly from that same 35 millimeter interneg. Some focusing on Kennedy, some on Connally, some on the two Secret Service agents in the front of the car. I'm holding here one of those 35 millimeter interpositives. It's a timed liquid gate contact interpositive, which I am today donating to the ARRB for placement in the JFK Records Collection. From this archival item, this 35 millimeter interpositive, it should be possible to make many negative positive pairs. That is, this 35 millimeter interpositive can be the progenitor of many 35 millimeter internegatives and they in turn can be used to create 35 millimeter positives, whether they be slides or motion picture film. Although I defer to Moses Weitzman, you can call this item the Lifton interpositive made from the Weitzman internegative. I cannot over emphasize the high quality of the original Weitzman internegative. One researcher who has worked in this area tells me that although he has bought rights for the film from the Zapruder family, when it comes to actually using pictures for his book, the negative from this interpositive, producers' positive images that are clearer than he can obtain from the corresponding source item at the National Archives. It does not surprise me that this is the case because Weitzman is a fine technical person and the internegative he made, which was done in 1967, is certainly equal and probably better than anything made by Life for the FBI or Secret Service back in '63 and '64, and may be better than anything made today in 1996 depending upon what has happened to the original film over the intervening decades. 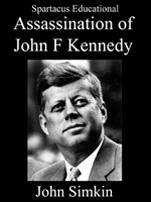 In his book, Best Evidence, Lifton asserted that an unidentified group of conspirators planned, executed, and concealed the assassination of President Kennedy. Even though the Zapruder film and certain other evidence indicated gunfire from the Grassy Knoll, the "best evidence" in the case and the evidence that would be given the most credence in a court of law was the official autopsy. Therefore, the conspirators altered the body of President Kennedy to make it appear he had been shot from behind. To assure the success of their scheme, the plotters had to change the nature of the wounds on the body in order to make it appear that it contained only evidence of rear-entry wounds. The conspirators, therefore, carried out an elaborate plot of what Lifton calls "deception and disguise," a fantastic plot that entailed altering the body of John Kennedy. From interviews with witnesses at Bethesda and from other sources, Lifton concludes that the body was removed from its bronze coffin while the presidential party was aboard Air Force One on the trip from Dallas to Washington. As the television cameras focused on the removal of the bronze coffin from the plane, the conspirators put the body in a helicopter and flew it to Bethesda. There they arranged various means, including two ambulances, to deceive the official party awaiting the arrival of the bronze coffin. As this deception took place, the body was altered to give it the appearance of having been struck from the rear. The conspirators removed the brain and "reconstructed" the skull, eradicating all signs of the massive exit hole in the back of the head. They also placed small entrance holes in the upper back and in the rear of the head. When the actual autopsy was performed, the pathologists inspected a body that gave the appearance of being hit twice from behind. understandably, fell in with this, confirming that all the wounds gave the appearance of having been made from shots from the rear. Lifton deduced that the only time the body of the President could have been tampered with was while it was being transported to Bethesda Naval Hospital. Consequently, he reached the conclusion that, since the body was at all times in official custody, government officials must have been party to the forgery of the wounds.